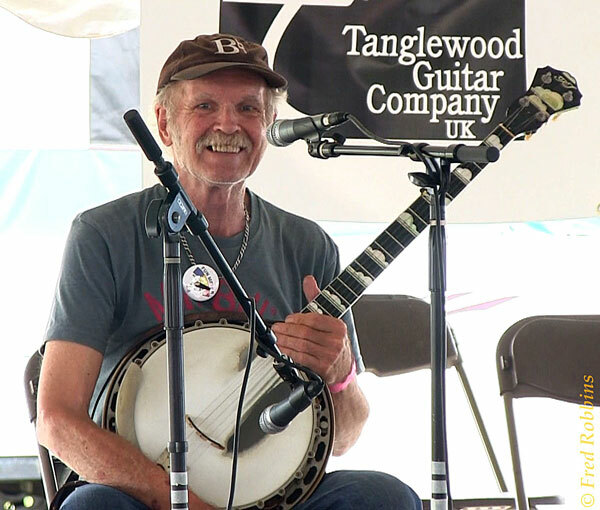 Bill Keith really needs no introduction within the bluegrass world, but just for completeness’ sake, here’s a brief outline of his musical life. Keith was born in Boston, Massachusetts, in 1939. He took piano lessons as a child, then learned to play the tenor banjo and plectrum banjo. As a student at Amherst College he taught himself to play the five-string banjo. After college, he played locally in New England, then moved to Washington, DC, to play with Red Allen and Frank Wakefield. In 1963 Bill Monroe hired him to play banjo with the Blue Grass Boys. (He beat out Del McCoury for the job, but that’s another story.) After eight months with Monroe, he played and recorded with various artists, most notably the short-lived supergroup Muleskinner. At present Bill Keith lives near Woodstock, New York. Although he doesn’t perform regularly, he remains active in bluegrass music. Among the many highlights in Keith’s long and varied career, two achievements in particular stand out. One has expanded our music’s expressive range, while the other has extended its reach throughout America and around the world. The first of these achievements is the development of “melodic style” banjo playing, the most important and widely used extension of Earl Scruggs’ three-finger technique. Melodic banjo playing uses ingeniously coordinated right- and left-hand fingerings to allow the player to execute fast scales and scale-based passages smoothly and efficiently. Keith initially developed this approach in the early 1960s while trying to figure out a note-for-note banjo arrangement of the fiddle tune “Devil’s Dream.” He quickly recognized that it could be used to play any fiddle tune, and much else besides. It was this new approach to the banjo that earned Keith his job in the Blue Grass Boys in 1963. Teacher, multi-instrumentalist (including banjo!) Ira Gitlin. Keith’s integration of Scruggs and melodic playing established a pattern for all of Monroe’s subsequent banjo players, including Lamar Grier, Vic Jordan, Jack Hicks, Bob Black, and Butch Robins. In addition, I think it’s fair to say that without Keith to show the way, we would not have the music of Ben Eldridge, Courtney Johnson, John Hartford, Alan Munde, Tony Trischka, Béla Fleck, Scott Vestal, Jens Kruger, Alison Brown, Noam Pikelny, and many others. Bluegrass music would be much the poorer without Bill Keith’s contributions and musical legacy. Bill Keith’s second great contribution was his work transcribing Earl Scruggs’ recorded banjo solos. 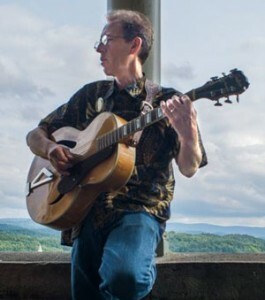 While many others of Keith’s generation learned to play by slowing down recordings to figure out what Scruggs had done, Keith used his formal musical training to write the results out, and then converted the standard musical notation to tablature, which he had learned about from Pete Seeger’s How To Play The 5-String Banjo. His transcriptions eventually formed the heart of Earl Scruggs And The 5-String Banjo (often called “the Scruggs book”). Published in 1968, at a time when interest in bluegrass banjo was spreading beyond the southern states where it had emerged, the Scruggs book became an immensely important resource. Countless banjo players have relied on its tablatures and exercises (also penned by Keith) to help them unravel the mysteries of the style. Forty–five years later it remains an essential part of any serious picker’s library. Either of these two great contributions would be enough to earn Bill Keith a Distinguished Achievement Award. Somewhat less monumental, but still noteworthy, is his invention of the Keith peg, an ingenious mechanism designed to replace the cam “D-tuners” that Scruggs had used for quick and accurate retuning in “Flint Hill Special,” “Foggy Mountain Chimes,” and other tunes. Keith’s Beacon Banjo Company has been marketing Keith pegs since 1964, and is noted in the banjo world for its high-quality products and customer service. Finally, Bill Keith has been a highly visible presence in the sphere of bluegrass banjo instruction, with several books and videos to his credit. He frequently teaches at bluegrass and banjo camps throughout the country, and at festival workshops. He remains approachable and encouraging to young players, always willing to jam and discuss the music that he lives and breathes. The criteria for the Distinguished Achievement Award specify that it should be awarded to individuals who have “proven to be forerunners in their particular field of endeavor, and/or fostered bluegrass music’s image with developments that will broaden the music’s recognition and accessibility.” I can think of no one who deserves the honor more than Bill Keith. — Ira Gitlin is a musician, multi-instrumentalist and teacher from Alexandria, Virginia.